A better way to reach your patients. - all in one portal. Call 877.360.3869 to learn about our Special Introductory Offer for Cloud 9 users, or fill out the form below. *By submitting this form, you agree to be contacted at the phone number and email address you provided - this may include autodials, texts, pre-recorded calls, and emails. This consent is not a condition of purchase. 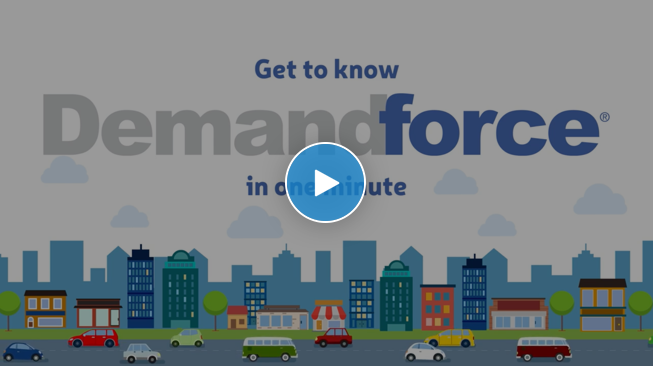 Demandforce has helped thousands of Orthodontists expand their patient base and boost their profits. Grow your business and boost profits. Protect and strengthen your online reputations.